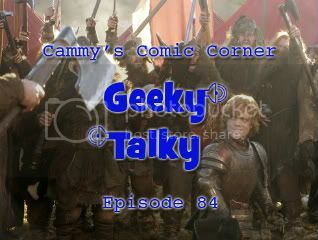 In this special episode I’m joined by Art (TV Division), Dommy (The House-Dwarf) and Matt (Duke of Douche) to discuss the last five episodes of Game of Thrones season two. We cover The Old Gods and the New, A Man Without Honor, The Prince of Winterfell, Blackwater, and Valar Morghulis. We also discuss the differences in George RR Martin’s novel A Clash Of Kings (and some A Storm of Swords), so spoilers abound! In this special episode I’m joined by Art (TV Division), Dommy (The House-Dwarf) and Matt (Duke of Douche) to discuss the first five episodes of Game of Thrones season two. We cover The North Remembers, The Night Lands, What Is Dead May Never Die, Garden of Bones, and The Ghost of Harrenhal. We also discuss the differences in George RR Martin’s novel A Clash Of Kings, so spoilers abound! In this special episode we discuss the last five episodes of Game of Thrones on HBO. I’m joined once again by Art (Television Division), Matt (Duke of Douche), and Dommy (The House-Dwarf). 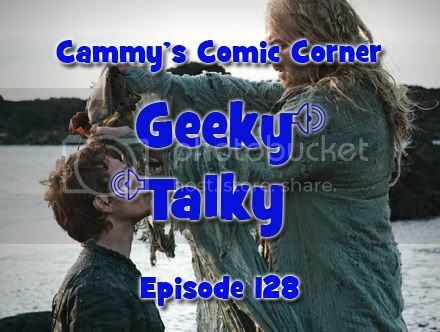 We recap the episodes, discuss more differences from the books, and decide which Winterfell ice cream flavors will be popular. Spoilers! 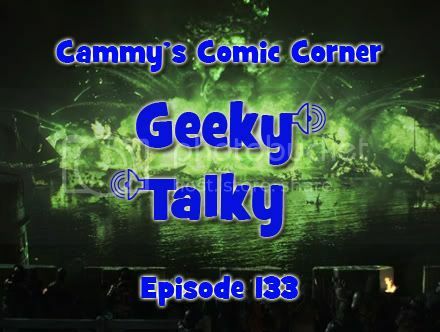 Comic News Insider Episode 350 – CNI One-Shot! SDCC Movie Special: Sushi Girl, Knights of Badassdom, Fright Night! Comic News Insider: Episode 350 is now available for free download! Click on the link or get it through iTunes! Sponsored by Dynamic Forces. It’s our San Diego Comic-Con movie special! Jimmy interviewed the cast of Sushi Girl and attended press conferences for Knights of Badassdom and Fright Night. The Sushi Girl interviews were 2 cast members at a time in a hallway at the Marriot Marina. Personal and intimate and fun!Knights of Badassdom was a big press conference so Jimmy just put the digital recorder on the table. You can hear the actors fine and the director repeats questions from the audience. Fright Night was a bit short and sound is kind of low. Still, some fun stuff with the cast! Hope you enjoy! Leave your iTunes comments! 5 stars and nothing but love!